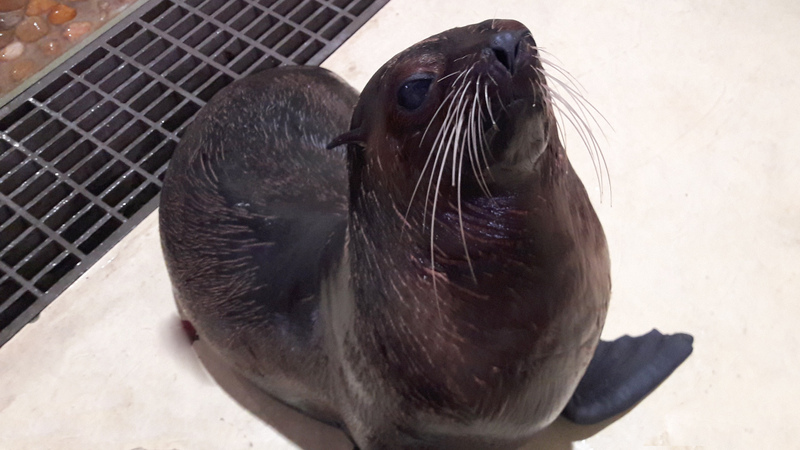 BayB, the beautiful Sub Antarctic fur seal (Arctocephalus tropicalis), that stranded on a beach in Richards Bay was re-introduced to the cool waters of the Aghulas Current on Tuesday 31st October after spending six weeks in uShaka Sea World’s rehabilitation facility. On Sunday 24th September 2017 the KZN Stranding Network received a call from a concerned member of public saying there was a seal lying on a Richards Bay beach. It was obvious from the photograph that the seal needed immediate treatment. 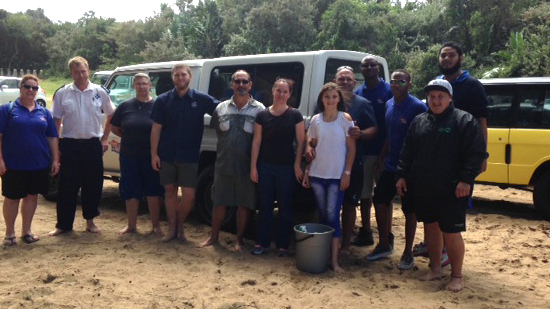 The uShaka Sea World team, together with Jennifer Olbers from Ezemvelo KZN Wildlife drove up to Richards Bay to fetch her. The large crowd gathered protectively around the seal asked that she be called Bay Beauty or BayB for short. 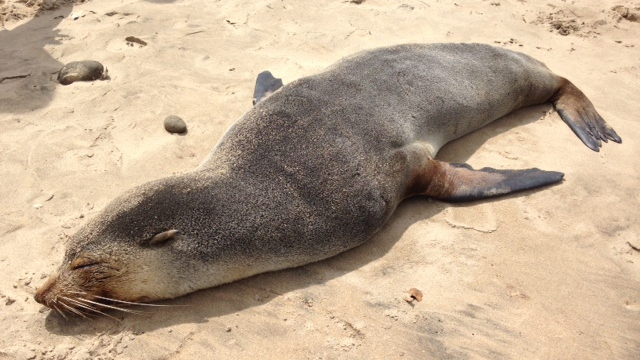 Initial assessment on the beach showed she was quite thin, lethargic and non-responsive. She had a wound on one of her hind flippers. On arrival at the rehabilitation centre the uShaka Sea World veterinary team treated her with fluids, antibiotics and deworming medication. She responded well to treatment and within a few days she was alert, responsive, swimming and grooming. Over the next month her weight increased from 33kg to 51kg. For most humans, gaining 19kg in five weeks would probably not be celebrated, but for seals this substantial weight gain is necessary. The wound on her flipper healed completely and she appeared ready for release – she just had to pass the veterinarians health check. Blood and faecal samples were taken, her heart and lungs checked, radiographs were carried out and the results all came back positive – she was given the all clear and prepared for release. 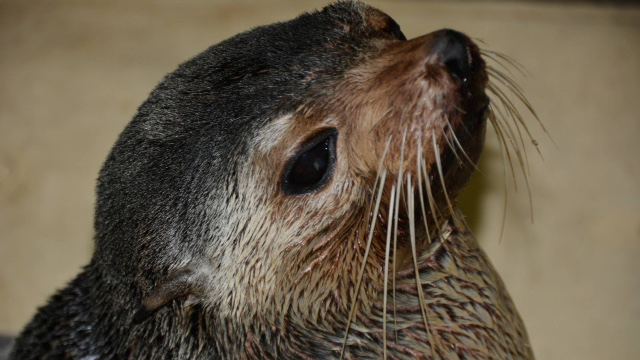 As these Sub Antarctic fur seals normally breed on islands in the Southern Ocean, finding herself in South Africa meant she was a long way from home. 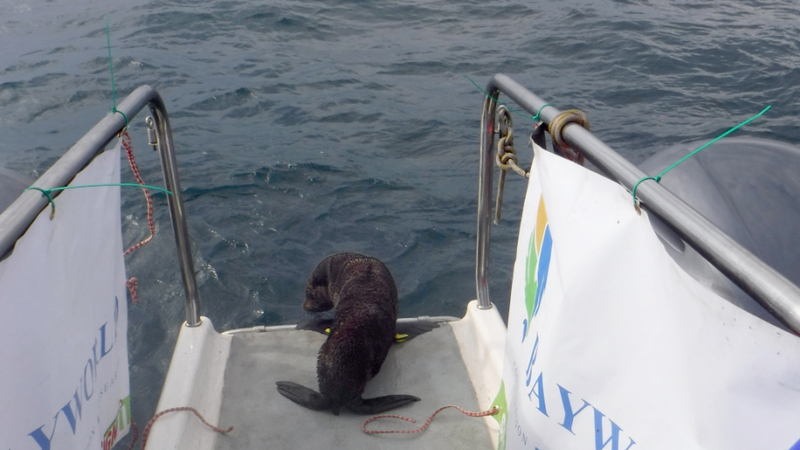 She was driven down to Bayworld in Port Elizabeth to join a group of six other sub Antarctic seals to be released from the vessel owned by the South African Environmental Observer Network (SAEON) and the South African Institute for Aquatic Biodiversity (SAIAB). 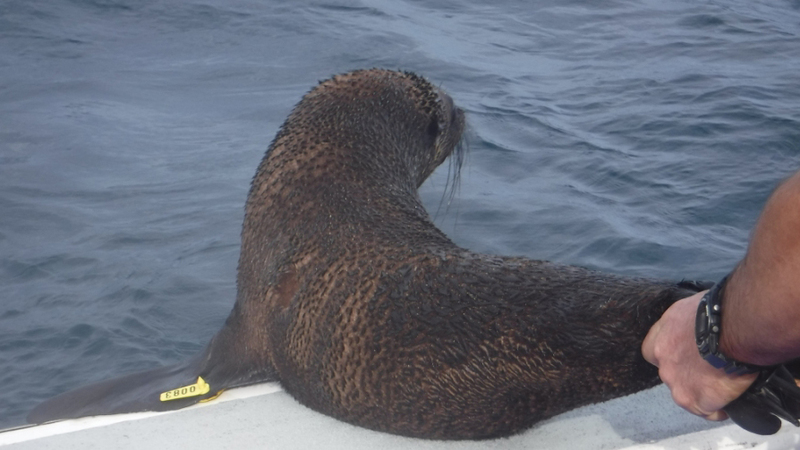 Before they were released they were each fitted with a tag, so that they will be easily identified by scientists who work with Sub Antarctic seals on the islands in the Southern Ocean. Thanks go to SAEON, SAIAB and Bayworld for their assistance with this release. The uShaka Sea World team wishes BayB and the other seals released a speedy journey back to their chilly home waters. BayB on admission to the uShaka Sea World rehabilitation centre. BayB - looking well rounded after feeding and care at the uShaka Sea World rehabilitation centre. 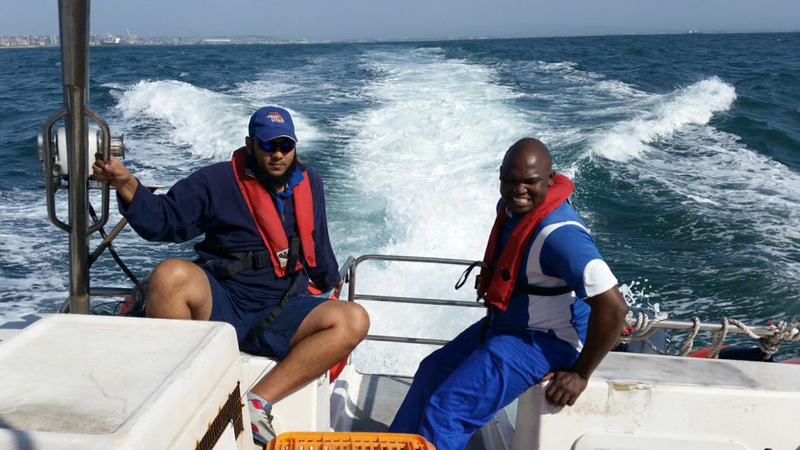 Animal behaviourists from SAAMBR and Bayworld excited for the seal release off port Elizabeth. 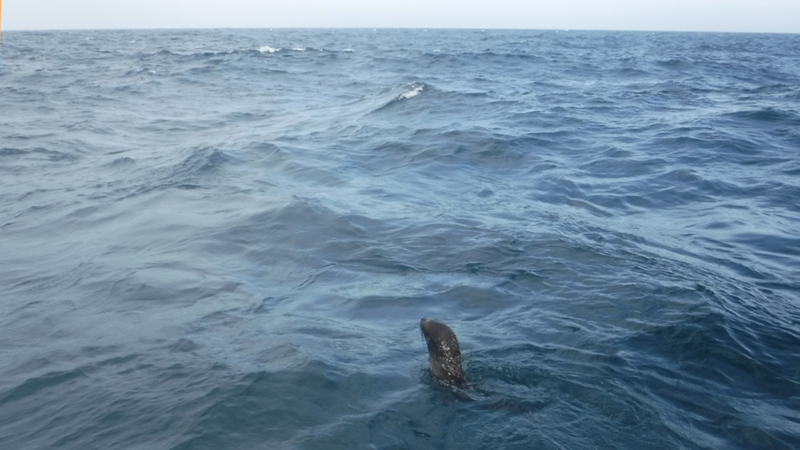 One of the 6 sub-Antarctic seals being released. BayB back in the ocean.